When it comes to blogging for your business, the biggest mistake you can make is to create what is essentially a personal blog. With a personal blog, you write about whatever you’d like. The only person you aim to please is yourself. With a business blog, you need to write to please your target audience. If you don’t keep your target audience in mind while writing a business blog, your efforts will be for naught. You can’t write for your target audience if you don’t know it, of course, so you need to take care of that first. 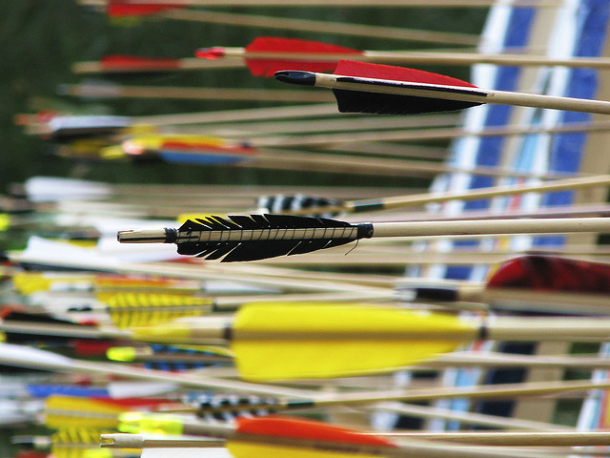 Without a target, your blog will have nothing to aim at, and it won’t be able to help you achieve your goals. Like most businesses, your main goal in creating a blog is probably to attract new customers and to keep existing customers coming back. A regularly updated blog can work wonders when it comes to SEO, but strictly worrying about the search engines is a big mistake. Now more than ever, it’s crucial to create content that appeals to living, breathing humans. In terms of blogging, you must know the basic needs and wants of your target audience. It’s one thing to write a blog that’s ostensibly geared toward a specific audience; it’s another thing entirely to make it happen. By creating personas that represent individuals from your target audience, you’ll find it much easier to create compelling, interesting blogs. Personas are basically character sketches. Each one will have a specific age, gender, income and other demographic information. When you understand these basic things about the people for whom you are writing, you can cater your content for them more effectively. You can’t create useful personas without knowing key demographics about your target audience. You can cull a lot of this information from existing customers. If possible, create surveys to try and glean as much information as possible. Social media is also a great place to collect information about the people who buy your products and services. Be active on social media and interact with current customers on sites like Twitter and Facebook. You probably learned a lot about your target audience while developing your products and services, and that’s the exact kind of information that you should call on when creating personas. Once you’ve created three or four personas, imagine their reactions as they read your blog. How would they respond to the kind of writing style that you’re using? Is your target audience well-versed with common jargon from your industry, or will you alienate people by using it? How educated is your target audience? You can use Microsoft Word’s spelling and grammar tool to get a feel for the average reading level and grade level of your blogs and adjust them accordingly. More than anything, your writing must be accessible and appealing. As with anything else that relates to online marketing, it’s crucial to keep an eye on the kinds of responses you get from your blogs. Are they favorable, or are people mostly just ignoring your posts? Depending on what happens, you must be willing to make adjustments as needed along the way. It might take a while to get into a groove, but the process will be worth it when your blog consistently attracts new customers and keeps existing customers coming back. The best part of all is that a blog can help you learn even more about your target audience, so it tends to become more effective and worthwhile over time.